If blue is your theme. If you're looking to capture a photograph that embodies blue cool tones, then this is your set. Known for its buildings which are painted in blue, Chefchaouen is a mountain town that serves as a haven to local artists and musicians for decades, though no one can explain for sure why the buildings are given its color. Nevertheless, it just adds to the charm that this town offers, next to local garment and souvenir shops that also attract the tourists during the European summer. Take a shot of the alleyways and the cemented stairs leading to quaint houses with potted plants hanging on the walls. Want to look regal in your next Moroccan photo? Then try shooting at a riad or a private courtyard. Although for the visitor it looks like a touch of Old World charm, riads are actually traditional houses of the affluent in Morocco, in which a courtyard or a garden has been incorporated into the design. You can still see some of these original riads in Marrakech and Fez, although some boutique hotels allow you to experience it with their own design inspired by ancient architecture. Nothing says lavish better than a photo with an ancient palace as the background. You can’t actually get inside this palace in Fez, but you can take lavish photos of the great archways and intricately-designed floor tiles. Fashion shoots are constantly being booked here so plan to arrive there early to get the perfect shot. No trip to Morocco is complete without a photo session at one of the great, intricately-carved doors in Marrakech. This is for fans of geometric aesthetics and architecture aficionados. The doors themselves exude an aura that is as timeless as the culture of Morocco. Strike a pose by the door and feel transported back to old Morocco. 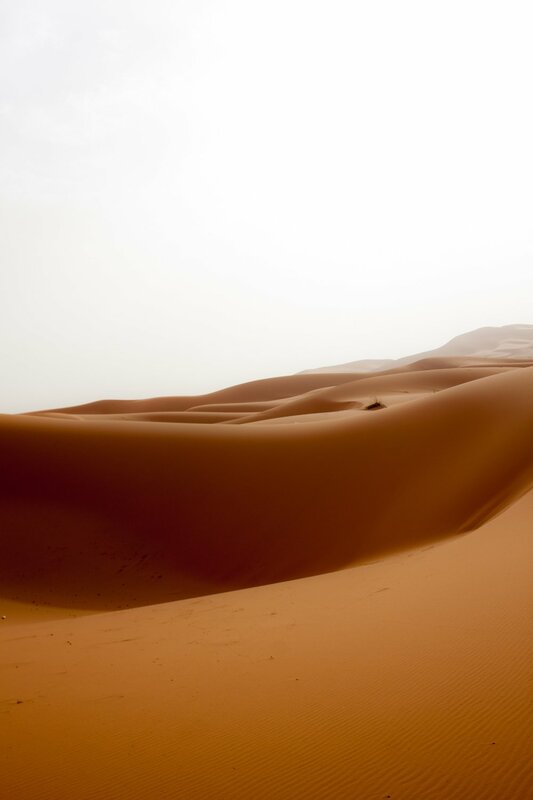 For an all-out photography challenge, nothing beats a photo taken in the desert part of Morocco. The dunes which are swept into interesting patterns by the desert wind make for a beautiful photo shoot location. No wonder models and couples do their fashion and prenuptial shoots here. Just don’t forget to bring your shawl as you wouldn't want sand in your eyes or hair.